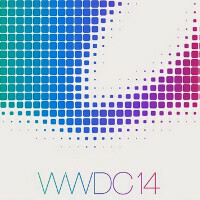 With the clock ticking toward the opening keynote of WWDC 2014, a report states that Apple will be showing off new iBeacon technology at the developer conference. For those who might not be familiar with the device, it is a Bluetooth LE transmitter that sends targeted content and messages to smartphone users in a specific area. Thanks to the short range of Bluetooth LE, iBeacon can send specific messages to those looking at accessories for a specific device, inside an Apple Store. In a supermarket, smartphone users running the supermarket's app could be sent a coupon for frozen peas, with the shopper staring through the freezer glass at the Green Giant's face. The Wall Street Journal says that major online payment firms like PayPal, are looking at ways that it could use the technology and Apple is trying to get iOS developers to add features to their apps that would make use of iBeacon. At WWDC, Apple has set up a number of iBeacon units inside the Moscone Center, and plans on offering live demonstrations to the developers who are attending the conference. Each iBeacon has a range of about 500 feet, and Virgin Atlantic has installed them at Heathrow Airport. When a passenger passes by the device installed near the gate where he will be boarding his flight, his smartphone will display a boarding pass. ABI Research expects iBeacons to be installed in 30,000 indoor locations by the end of the year. Each unit costs anywhere from $5 to $20. Considering the number of units it will take to cover large stores, and the increasing number of ways that the technology can be employed, this could be a huge money maker for Apple. Old concept but good for Apple if they can use it. As long as patents don't come into play so others cannot use this concept, I don't have a problem with this.